The CHIditarod Foundation is proud to announce our 2016 Grant Program awardees. This year the CHIditarod Foundation raised an incredible $32,798 for its grant program. This year we are able to again give out $25,000 in funds Chicago-area 501(c)(3) organizations that are directly fighting hunger, making an impact on local food sustainability, and/or empowering individuals and communities through food education. There were so many great applications is was hard to choose who to join on their fight against hunger. The CHIditarod Foundation chose eight organizations doing amazing work. We are thrilled to introduce the 2016 winning organizations! Experimental Station – Efforts to address the challenges and obstacles to eating healthy in a low-income, food insecure neighborhood. 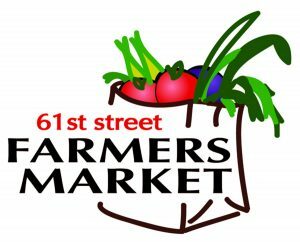 Their CrockPot Project will work with the 61st Street Farmers Market, to teach people how to cook healthy, vitamin and mineral rich foods. Gardeneers– This org runs an educational program in Chicago Public Schools designed to introduce children to new foods, teach food adventurism, and promote nutritional awareness and self-care. CHIditarod funds are helping to continue the Gardeneers program in a Garfield Park, which recently lost their capacity to support the program. Garfield Park Conservatory – In this food desert, GPCA channels the Conservatory’s resources to grow and distribute fresh produce and seedlings to the community and to educate, train, support and sustain community gardeners who are leading the movement to locally grow food to feed the residents of their neighborhoods. Howard Area Community Gardens – To increase the number of plots, rebuild a community meeting space with meeting space and workshops, changing the neighborhood to a joyful source of community and abundance. 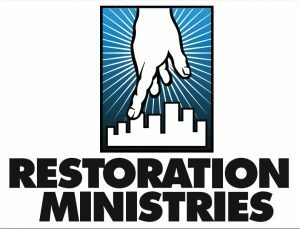 Restoration Ministries – Supporting their community garden providing neighbors and food pantry clients access to fresh, produce and nutritionally rich foods. The garden will supply vegetables and herbs for meals for our Harvey House and Tabitha House residents and youth program participants. Su Casa Catholic Charities– Smack in the middle of Back of the Yards, this group offers tons of social services, including a big food pantry in an otherwise bleak food desert. The grant they received from the CHIditarod Foundation will be used exclusively on durables which will expand the capacity and the lifespan of this program. The Pie Patch– This is a community garden “start up” in every sense of the word. The org is about 1 year old, and they are located in Back of the Yards. The Pie Patch is a berry farm, one of only two urban “orchards” in the Chicago area who use a pick-your-own model, which both keeps costs down for people who want to eat the fruit, and helps families and residents get up close and personal with the garden. The CHIditarod Foundation is a 501(c)(3) nonprofit organization dedicated to solving the root causes of hunger through creative events and direct action. Our flagship event — The CHIditarod — brings together 1,000 people annually and has funded $95,000 in small grants for local anti-hunger initiatives since its inception. The CHIditarod takes place annually on the first Saturday in March. On March 5, 2016, CHIditarod jumped into the next dacade of doing good, with 540 costumed racers chasing their dreams of CHIditarod glory and making a difference in the fight against hunger. Since its humble beginnings in 2006, CHIditarod has raised more than 150,000 pounds of food and $183,000 in the fight to end hunger in the greater Chicago area. For more information about CHIditarod and the CHIditarod Foundation, follow us on Facebook, Google+, and Twitter.